So... yeah. 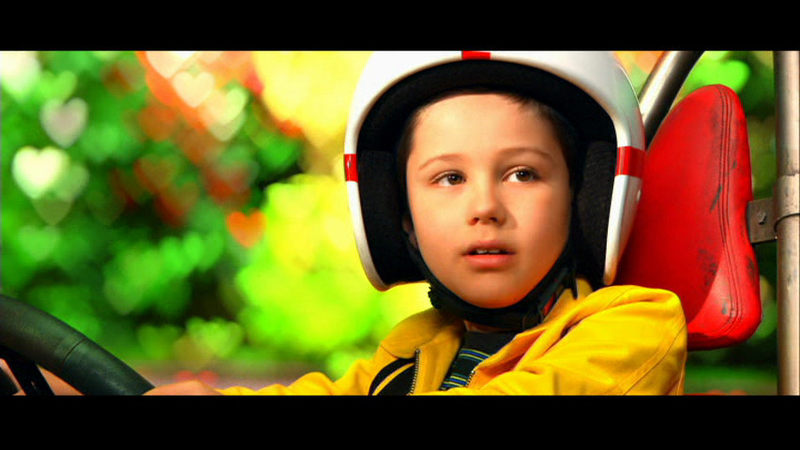 Speed Racer. I freaking love this movie, and today is my birthday, so I'm going to talk about how absolutely wonderful this heaping mess of perfect garbage is. 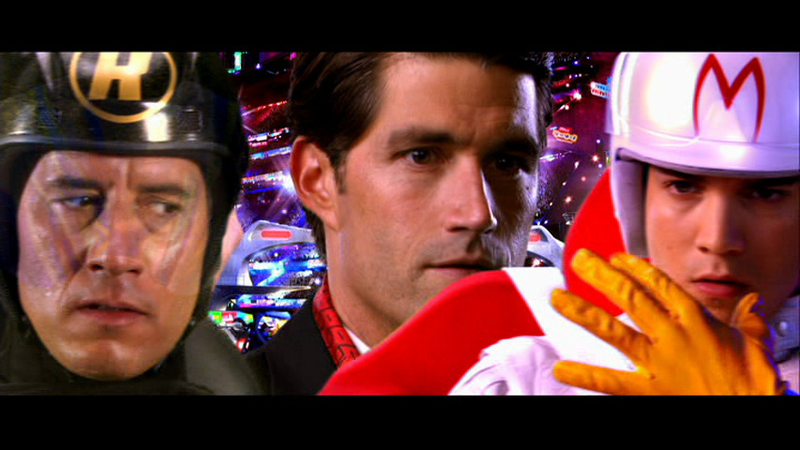 I would say this is my all time favorite guilty pleasure movie, but that seems to imply that I think the movie is bad, and while I accept that Speed Racer has its flaws, it's not nearly the disaster its failure at the box office and negative critical reception would indicate. It's not for everyone, but if you can deal with the overwhelming nature of its aesthetic and the underwhelming nature of its story then you'll see how I can rank this amazing catastrophe among my all-time favorites. Should I even bother with a plot synopsis? 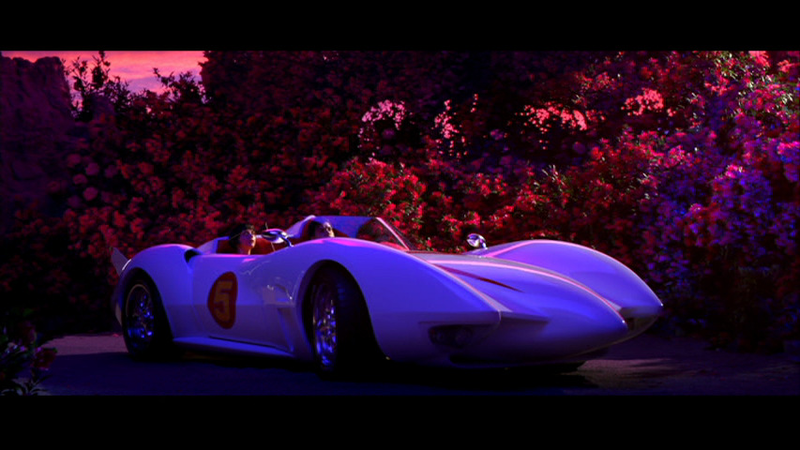 Speed Racer and his family run a small racing company threatened by corrupt corporations, so Speed must win the Grand Prix to foil the plans of the evil capitalists. There are side plots and character development and stuff, but I mean it's a movie about race cars. What do you expect? 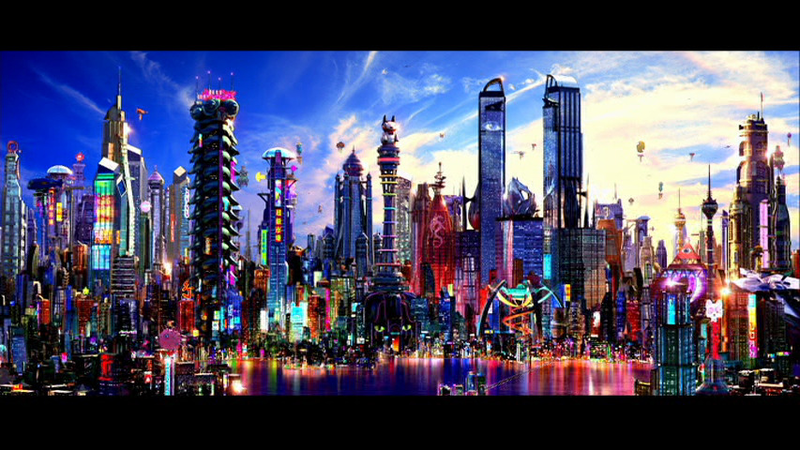 There are two reasons I keep coming back to Speed Racer, and the first is that I find it stunningly beautiful. To begin with there are the colors. 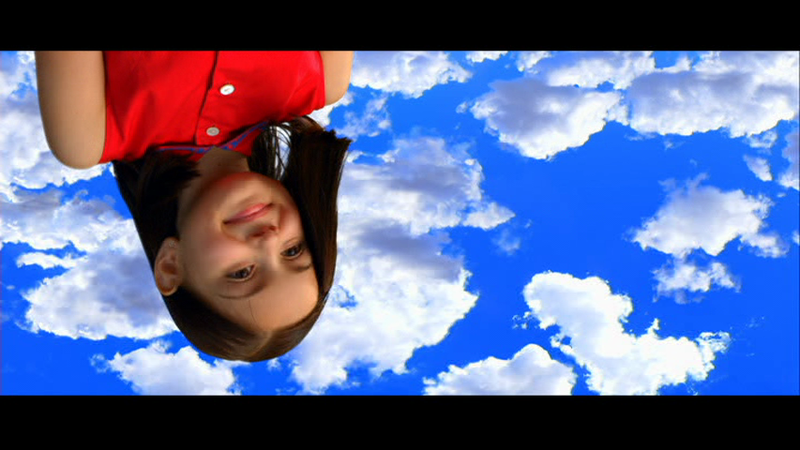 Each frame is supersaturated with bright colors and it's much more than a child simply color-by-numbering each frame. Complementary colors (like the orange and blue in the shot above) are used to bring an amazing contrast to some shots, while in others a thematic color (blue) is used as a highlight to give the shot a sense of cohesion and consistency. 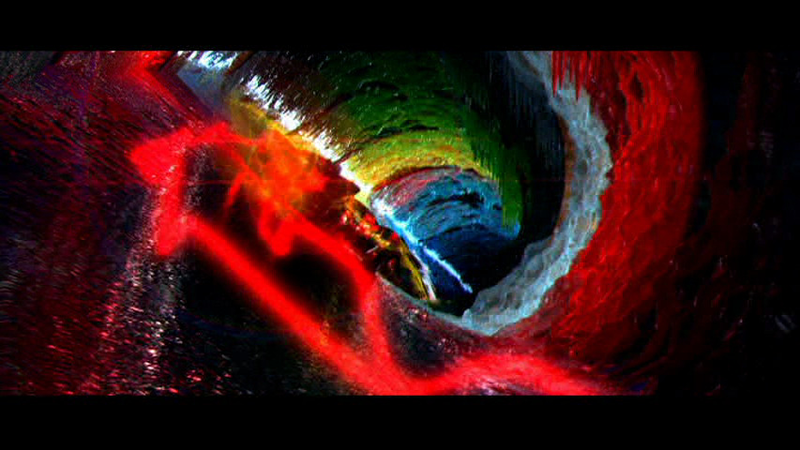 Further still there are some scenes which utilize a palette consisting mainly of a single secondary color and the primary colors which compose it (purple with red and blue) and some which refuse a unifying theme to illustrate the chaos of the situation (red, yellow, green, blue, and white). 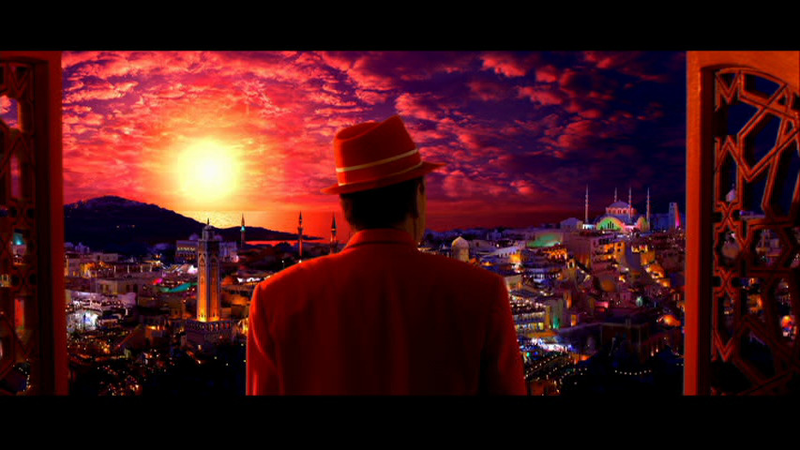 Even the nearly monochromatic shots (red) are gorgeous. 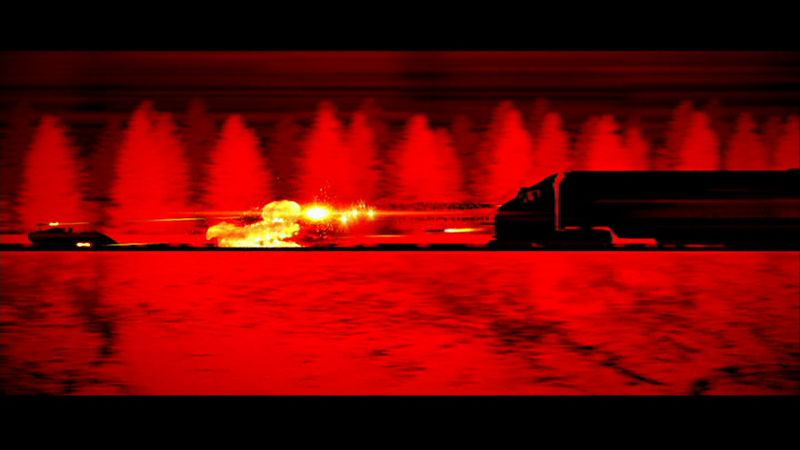 Then there's the movie's lighting. At first you might find it hard to believe that the directors of the Matrix trilogy went on to direct this family film after writing V for Vendetta, but when the movie wants to be dark and moody it brings in the shadows and harsh lighting to great effect. 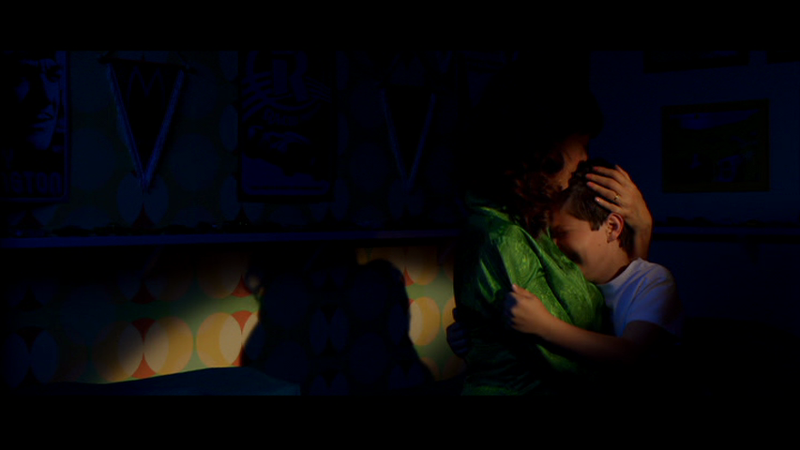 Here's one quick example of a scene with young Speed mourning and Mom and Pops caring for him. 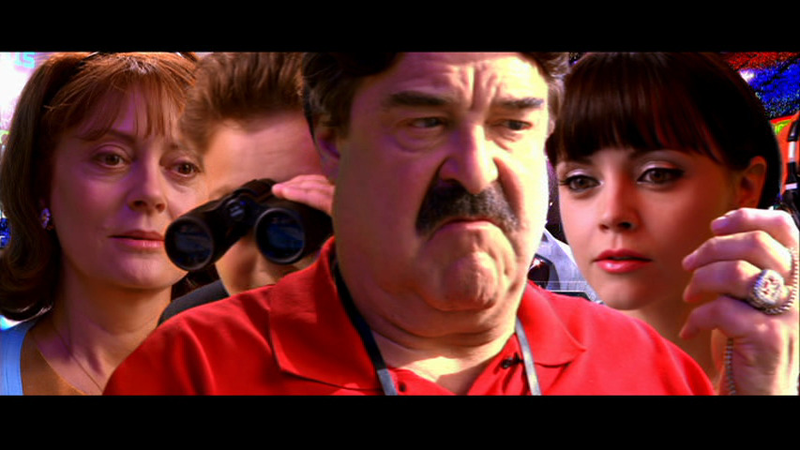 Or even this shot of a mystery man watching Speed race on television. 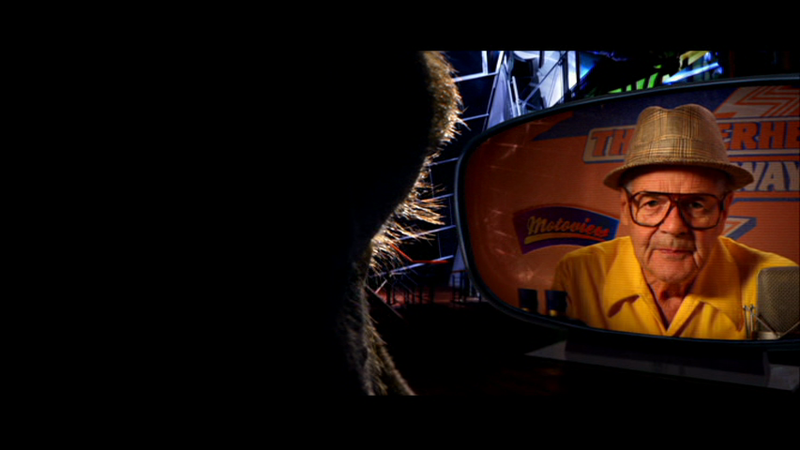 Speed Racer may be made for kids, but the Wachowskis didn't simply forget how to make movies. 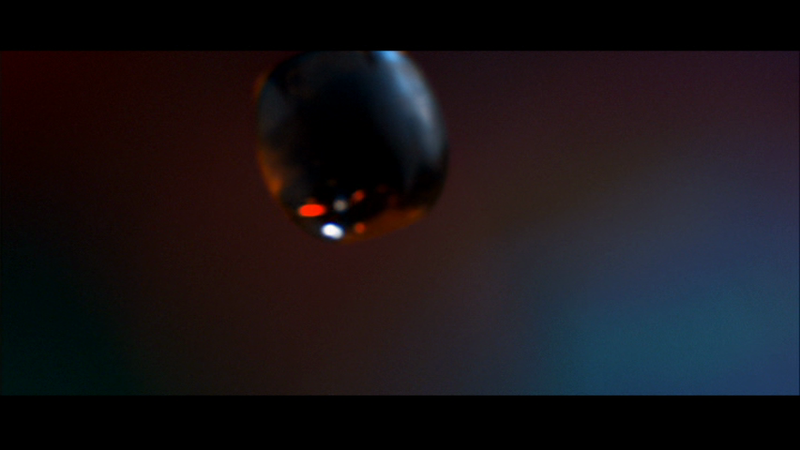 Speaking of which, the duo's knack for creative cinematography is here in full force. 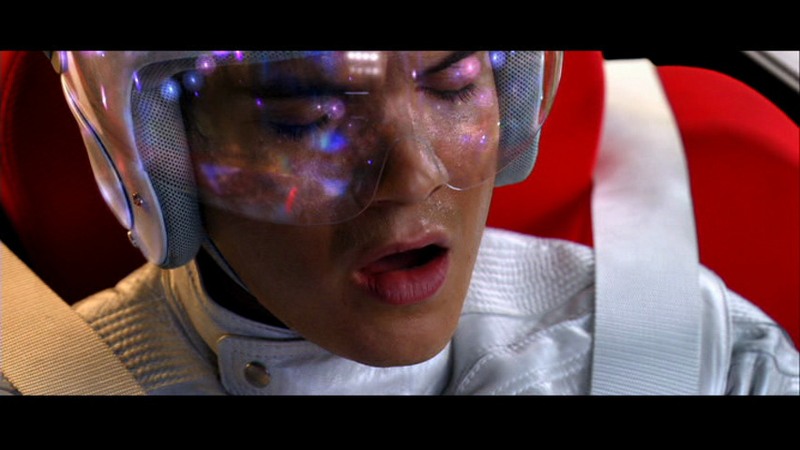 There's the fun camera angles for one. This one shot of Mom dropping her wine glass is perfectly disorienting and puts the audience precisely in Mom's shoes which just amazes me every time. 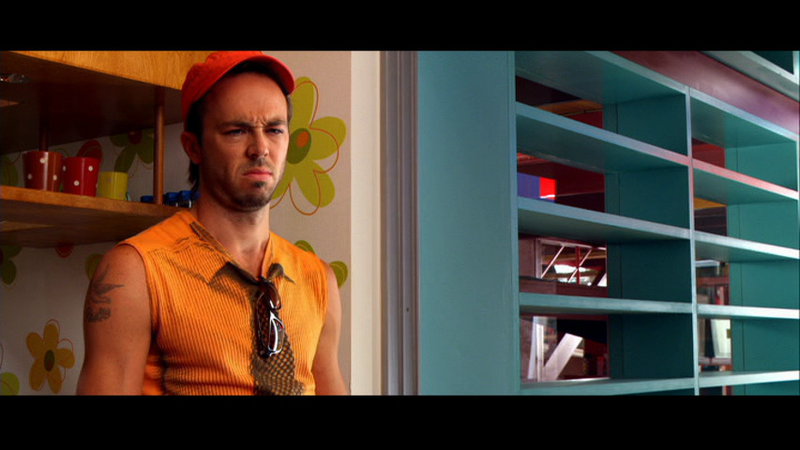 But the real highlight for me in this area is the film's use of wipes. For those of you who don't already know, a wipe is a type of shot transition in film that found its apex in the work of Akira Kurosawa (which was later imitated by George Lucas) and has long since gone out of fashion. They can cause a film to look cheesy or amateurish. 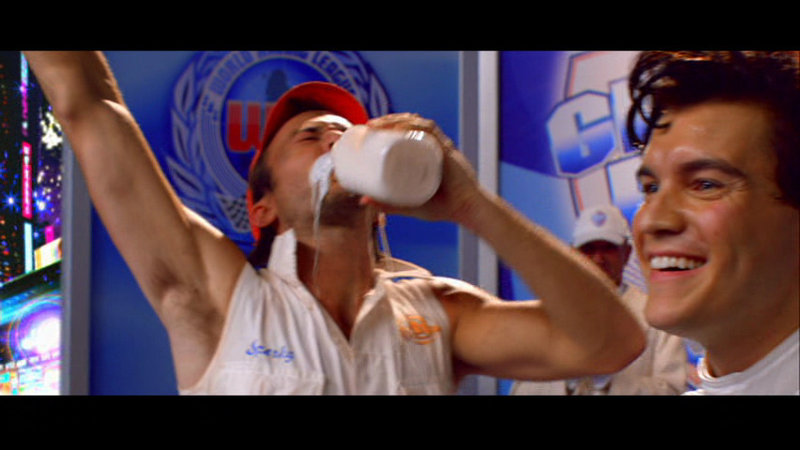 Conventions be damned: Speed Racer uses more wipes than a mindlessly dedicated fanatic like myself has the patience to count. There are so many that at times it becomes unclear what constitutes one wipe as distinct from another. And it works amazingly. 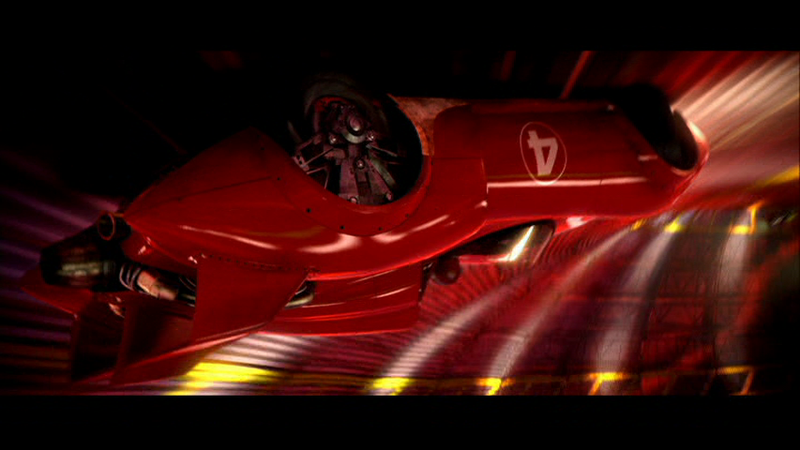 There's a climactic wipe at the beginning of the final race which works to highlight and juxtapose all the relationships between the characters (all from left to right: Speed's betrayal, Burns's apprehension, and Taejo's regret; Cannonball's fear, Racer X's pride, and Speed's anger; the Racer family's mix of pride, fear, confidence, and love). I just can't get enough of this kind of thing. 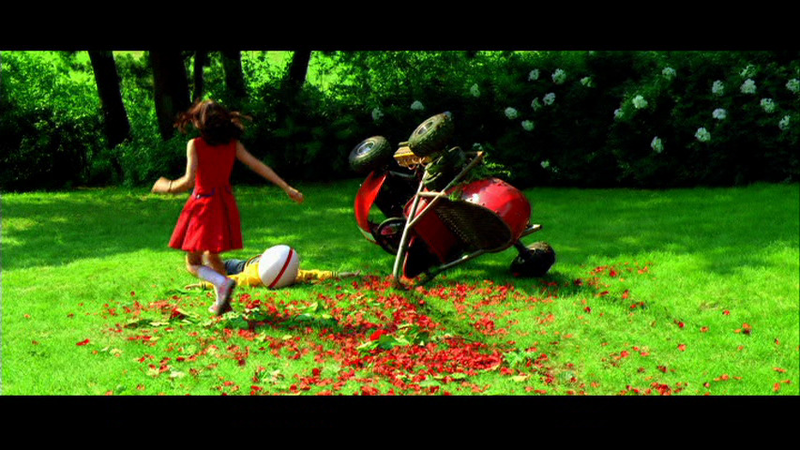 So, the second reason I can't stop watching this movie is much sillier: the symbolism is just so incredibly, painfully obvious. What? That sounds like a bad thing you say? 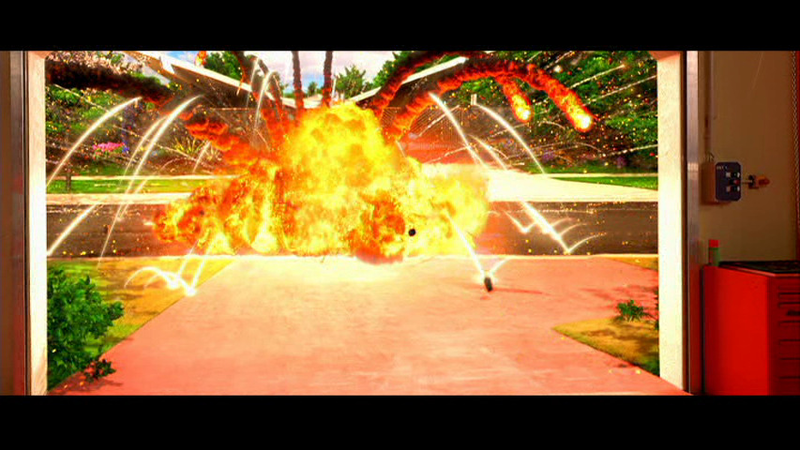 Well, what if I told you the final racing sequence is an overt sexual metaphor, with Speed driving his white car down a path leading through the explosion of two cars (see above) which seems to give Speed a little too much pleasure? No, that's too easy. How about Sparky's not-so-subtle homosexuality first when he's jealous of Royalton's admiration of Speed, then when he checks out Speed in his new suit, and finally when he drinks Speed's victory milk? Nah, that's not quite over-the-top enough. 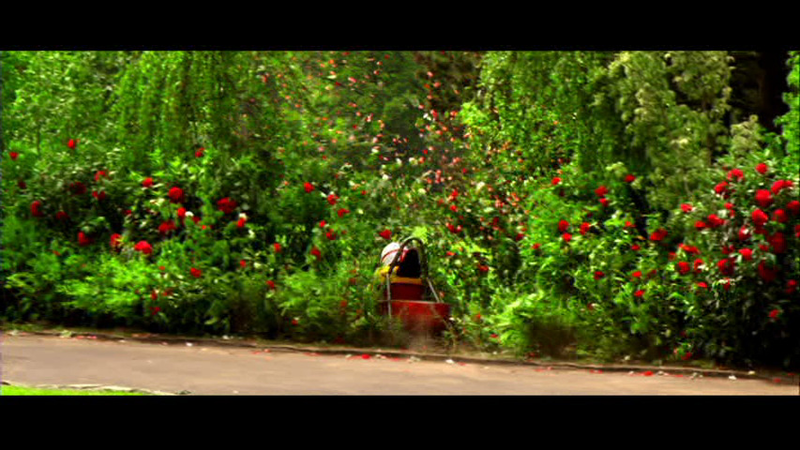 How about the fact that when Speed and Trixie first mutually notice each other, the background blurs and turns to little hearts (a technique mimicked in the film's finale), then Speed crashes his toy car into a rose bush (also repeated later) where Trixie is shot upside down, after which she visits the Racer residence where she is pleased by an exploding car. Yeah. That ought to do it. 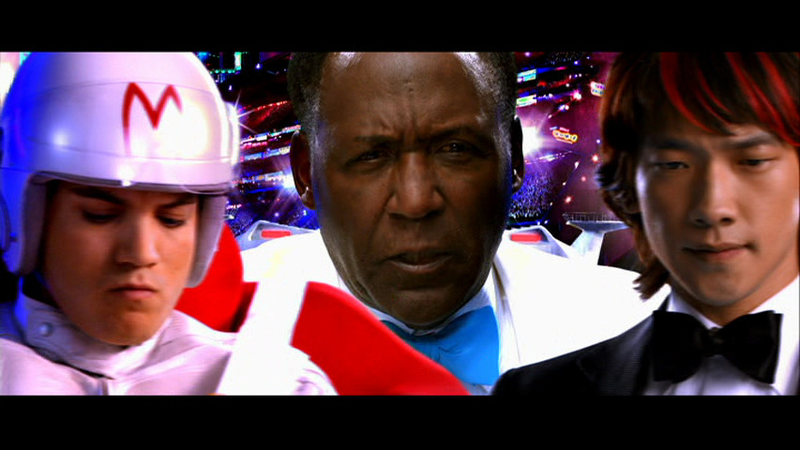 So will you enjoy Speed Racer as much as I do? I don't know. 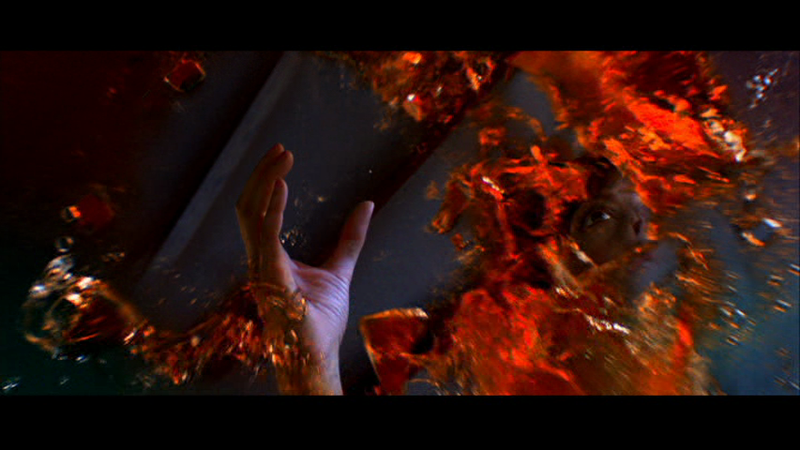 The film is both visually and thematically excessive, the plot is bland and predictable, there's a little bit too much flashback jumping to follow on the first run through the movie, the dialogue too often leaves something to be desired, and perhaps worst of all the film the film reinforces the cult of self-esteem (albeit in the positive direction of self realization through dedication and against corruption). But if you can put those things aside for two hours you'll find a truly unique and awesome movie.